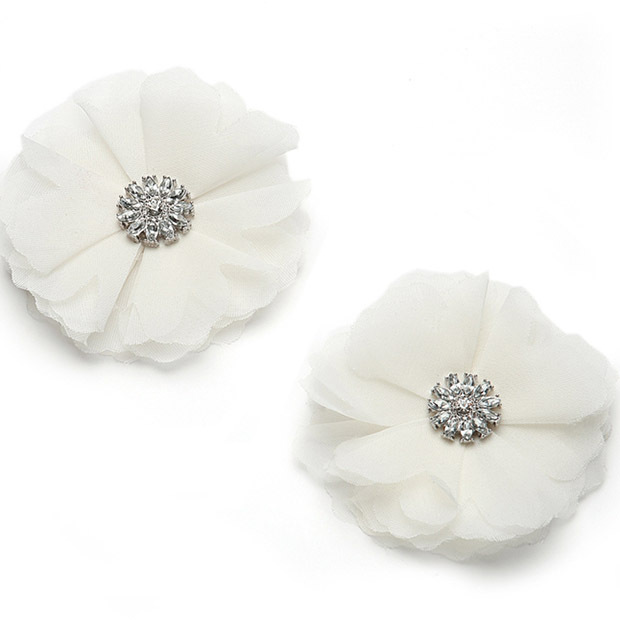 * Mariell's 3 " round Ivory Tulle shoe clips with crystal centers add chic fashion to wedding shoes. 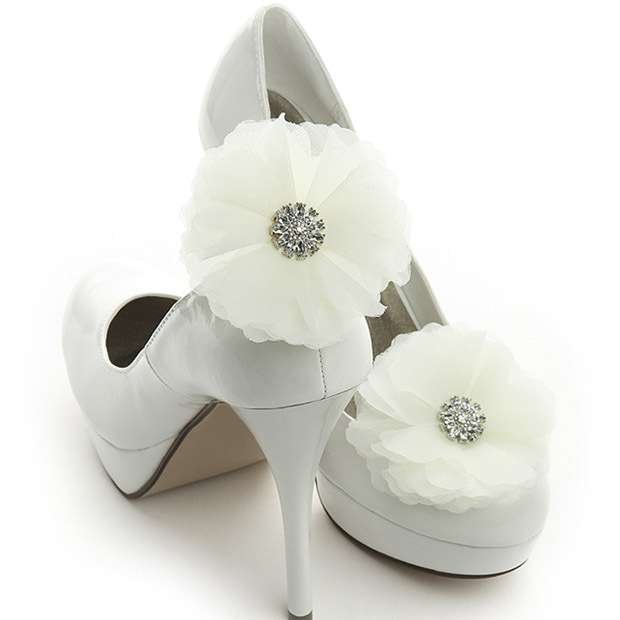 * For bridal runway style, wear shoe clips along the sides or on backs of shoes (above the heels). for more great looks, clip them to a scarf, wrap or clutch.